For the typical Veterans Affairs Department worker, pulling together a veteran's case file is like trying to make a cake with just flour. The department's three groups'the Veterans Benefits Administration, the Veterans Hospital Administration and the National Cemetery Administration'can't easily access each other's records. But the department plans to make access to the missing ingredients easier. Veterans Affairs workers said they hope the move toward one VA will mean better service for veterans, such as Robert Roberts of Tulsa, Okla. When he walks into the Tulsa VA Outpatient Clinic, caseworkers there could use an integrated system to determine services for which he is eligible. The department is just cranking open the spillway gates on its stovepipe and legacy systems and databases. Earlier this month, the department announced its move to an integrated financial system, known as coreFLS. Through the project, VA plans to replace more than 100 systems and make its financial information available via Web browser. The department, which this fall will run a coreFLS pilot using Oracle Federal Financials, plans to have the integrated enterprise resource planning system online by October 2002. The move to the Oracle product would circumvent the department's stovepipe systems, said Eileen Powell, the coreFLS project manager. In other projects, VA plans to make sweeping use of data mining by implementing middleware applications that can link existing disparate databases, wherever they might be, and extract needed information, Muenzen said. The goal is to create a Web interface for VA users departmentwide. 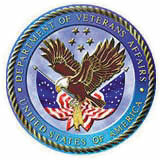 Creating more links between systems and making more data available via the Web makes it easier for the department to disseminate information about changes in any particular veteran's status. For the integration effort, VA's Austin Automation Center in Texas is acting as a national data broker, trying to facilitate data movement across department offices. But the move toward one VA and the rising tide of information also triggers privacy concerns, so officials are taking steps to assure that veterans' personal data remains secure. Users of the Austin center's Information Processing System access the information on the center's Web server through browsers with 128-bit encryption. Log-on identifications, passwords and data are all encrypted. The Web server, a Sun Microsystems Enterprise Ultra 10, resides behind a firewall and houses only the Web software. The server is also on its own protected subnet, communicating back and forth with a Sun Microsystems Enterprise 450 gateway server via a protected link, Austin data center officials said. No other devices are connected to the link. At a department information technology conference in Austin this month, VA managers cautioned all users to follow basic tenets of computer security. Managers must train users to choose strong passwords, then follow up to ensure that they took the instruction seriously, said James Thompson, director of the department's Security Infrastructure Protection Office. Thompson's group develops security policies and procedures and oversees their implementation by users throughout the department.